In a previous life (okay, when I was 18), I was a music publicist. I’m not sure if I could say I was good at my job, but I worked hard. I developed really good relationships with many journalists and I really loved what I did…everything except for the musicians and bosses. I don’t believe in pestering people until I get my way, which is often what my artists (and my bosses) wanted. I was asked to make false promises to journalists just to get the job done (i.e. – You can have an interview with my A-list artist, but only if you first write a story on my new D-list artist…and then never give them the promised A-list interview. Not cool!). Green Day – Kerplunk. The record that changed my life. It’s no secret that I love music. It was my first love (and still holds a massive piece of my heart). 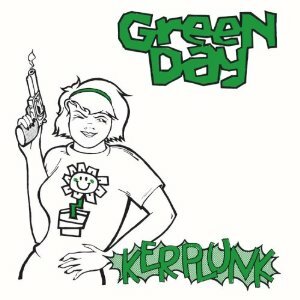 I think that music really became an important part of my life when I first bought Green Day’s Kerplunk record. I remember that day vividly. I’m not sure how old I was (probably 12 or so) and I was with my family in Pocatello, Idaho visiting friends. I was always given a gift card for Christmas to the Pine Ridge Mall in Pocatello and I couldn’t wait to spend it. My parents drove my brother and I there and we headed straight for Sam Goody. I don’t remember what drew me to the Green Day record, but it was what I wanted. We got back in the car and I ripped open the plastic and stuck the CD in my coveted yellow Discman (I loved that thing!). I cranked up the volume and just took it all in. 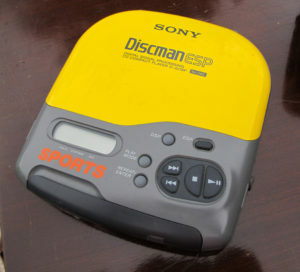 This was the type of discman that I had – probably my most prized possession for much of my tween years. That moment changed my life. For some reason, I remember turning to my brother and repeating the lyric: She holds my malachite so tight so/Never let go and asked him what malachite was. He gave me the wide eyed “SHUT UP” look and eyed towards our parents in the front seats and refused to answer. Ah, my innocence back then! Fast forward about a year and now I’m 18 and living in Sherman Oaks with a (soon to be recognized as bat crap crazy) roommate. I was free to see all of the bands I wanted. An internship at RCA Records got me in the door and now I was a junior publicist at a two person PR firm. I worked in that industry for about five years before I realized that I wasn’t cut out for the music business. I hated musicians and I hated meeting the musicians I grew up loving because more often than not, they turned out to be jerks. (as a side note, I met Tre Cool when my husband and I were on our honeymoon. 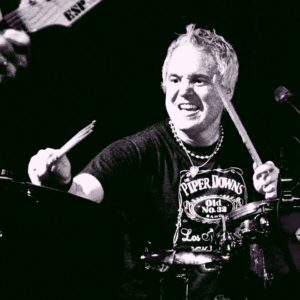 I was a drummer in high school and so he was an idol – he was cool as hell and does NOT fall into the jerk category. I have yet to meet Billie Joe – not sure I would survive that.) So while I was in the industry, I went to parties where there was literally coke being snorted off of glass tables and I was working shows my with artists when I wasn’t even old enough to legally be in the club. There is a reason that record labels and A&R executives are no longer respected or utilized. The industry is a cesspool of mostly selfish musicians and all the people they pay to kiss their backsides. This was not the industry for me. I left the industry to get my multiple subject teaching credential so that I could teach kids cursive and to love reading and writing and be confident at math. That was another awakening to the real world. I won’t even go into the scarring experience that was being a teacher in the LA system. Just before beginning college, I learned how to knit. I knit on the hour ride bus to school (because it would take nearly that long just to find a parking spot on campus) and I knit in lecture classes. I had one male professor that pulled me aside after class and told me that he didn’t want me knitting. I told him that wasn’t going to happen and that if my grades fall, I’ll stop. I didn’t have to stop and luckily he never said another word about it. A ball of yarn and a pair of needles is all it takes to create something amazing! I survived college because of my knitting and to this day, I struggle with concentrating if my fingers aren’t clicking away. I survived six years of teaching because of my knitting and, even more importantly, I didn’t stab any parents, students, or principals with my knitting needles – that is the true accomplishment! I am beyond lucky to have a successful knitting business and I truly get to do what I love most. I have finally found something that I am passionate about and I don’t have some egotistical boss, thankless musician, or clueless principal making my life a living hell. Much like I found solace in music, I have now also found it in a craft that dates back thousands of years. Who woulda thought? Some would say that music saves lives, which I agree to be true in many cases. It might be a stretch to say that knitting saves lives…but it’s spot on to say that knitting saved my sanity. My amazingly talented and wonderfully supportive hubby!